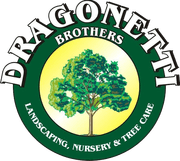 Dragonetti Brothers solid reputation for customer satisfaction was achieved this through quality work, attention to detail and prompt service. Our mission is to provide professional, courteous service and quality workmanship to every customer. All of our services are custom designed which is why we offer free estimates to our customers. Our courteous staff will provide superior customer service, answer any of your questions and provide assistance as promptly and sufficiently as possible. We utilize the latest tree care tools and equipment to professionally handle every job. We have skilled teams of tree cutters and climbers that safely rope the branches and logs down to the ground when necessary. We always respect and protect your pets and wildlife—and have even rescued a few cats from trees! All the brush and wood products are chipped and hauled away to be completely recycled. Our crews take great pride in their work and the cleanup job has been described as “immaculate” by some of our customers. We have earned an excellent reputation and stand behind our work 100 percent. With our years of experience, friendly attitude, superb references, commitment—you can be confident that we will do an excellent job for you. Please complete our online contact form or give us a call for a free consultation!